Nachtigal Hydro Power Company (NHPC), the ad hoc company that manages the Nachtigal hydroelectric project, has signed an $87 million contract with GE Renewable Energy, a subsidiary of the General Electric group. The American energy company will supply seven turbines for the future 420 MW power plant. A new player has entered the Nachtigal hydroelectric project in central Cameroon. It is a consortium formed by GE Renewable Energy, a subsidiary of the American group General Electric, based in Paris, France, and Elecnor, a Spanish company. 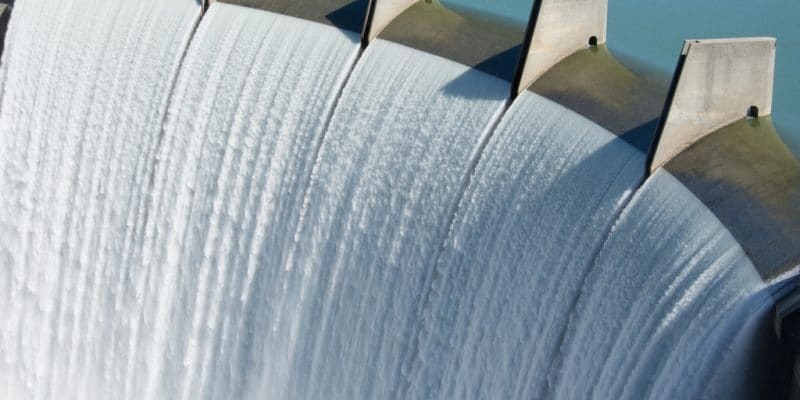 GE Renewable Energy has been awarded an $87 million contract by Nachtigal Hydro Power Company (NHPC), the company that manages the Nachtigal hydroelectric project. The energy company will supply seven turbines of 60 MW each. The agreement between the consortium and NHPC stipulates that the teams of the American company, which employs 22,000 people, will coordinate the entire project: the design, manufacture, assembly supervision and commissioning of the turbines and generators, the control system and the mechanical balance of the installation. The contract will be managed by GE Renewable Energy’s centres of excellence located in Belfort, Grenoble (France) and Tianjin (China). For its part, the Spanish company Elecnor will be responsible for setting up the electronic balance of the plant, the construction of the substation that will convert the electricity produced by the plant. She will also be responsible for the finishing work on the installation. “When the plant is fully operational in 2023, the population will have easier, better and sustainable access to renewable electricity,” said Pascal Radue, President and CEO of GE Hydro Solutions. As a reminder, the Nachtigal hydroelectric project is supported by five shareholders: the State of Cameroon; Africa50, an investment fund of the African Development Bank (AfDB); Stoa Infra Energy, an investment fund specializing in infrastructure and energy in Africa, Latin America and South-East Asia; Électricité de France (EDF); and the International Finance Corporation (IFC), the World Bank’s corporate finance arm. The hydroelectric project itself includes the construction of a roller-compacted concrete dam, a mill canal and a power plant with a generating capacity of 420 MW. The companies responsible for this project will also build a line to transport energy to Yaoundé, the capital city of Cameroon. The water reservoir will have a capacity of 27.8 hm3, over an area of 421 hectares. In 2023, the dam will be 1455 m long and 14 m high. A huge project!